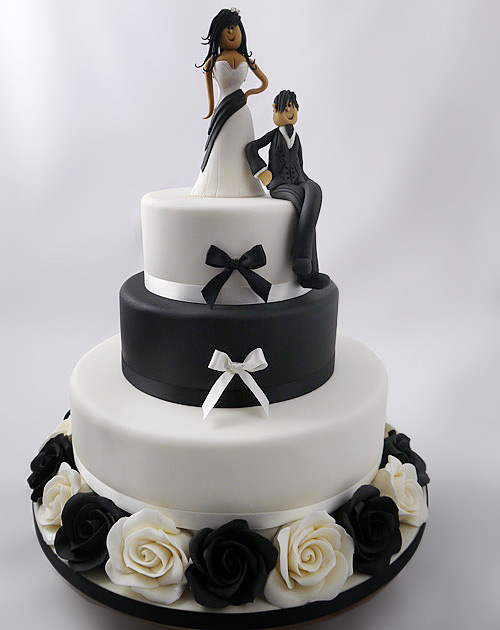 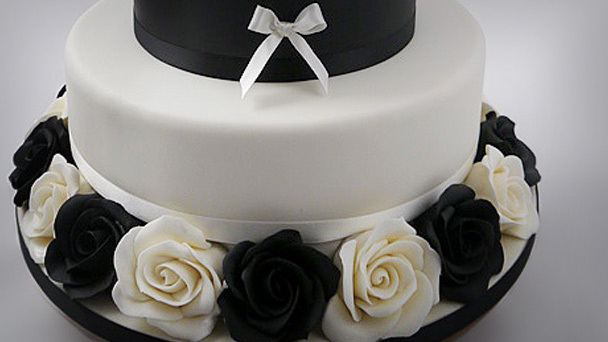 A popular wedding cake using the colours of the moment – black and white. 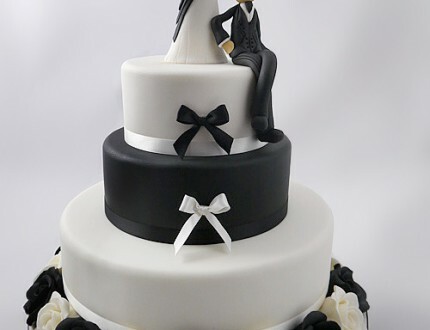 Although Paul uses dummy cakes in this tutorial he takes you through every step in making the cake from stacking to covering the board to giving the bride a fringe, it’s all there. 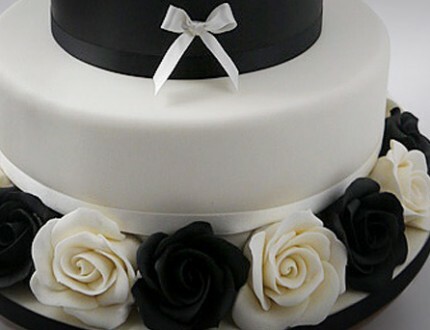 If you haven’t watched a tutorial on how to cover a cake check out the first couple of Lessons on the Rose Wedding Cake.